Don't I always come up with the most creative titles? Honestly, that is the most daunting part about blogging. I hate those damn titles! These photos are completely blown out but the story they tell is just priceless... I had to post them. Here's another outfit from my packing saga. I'm as in much shock as you are.... 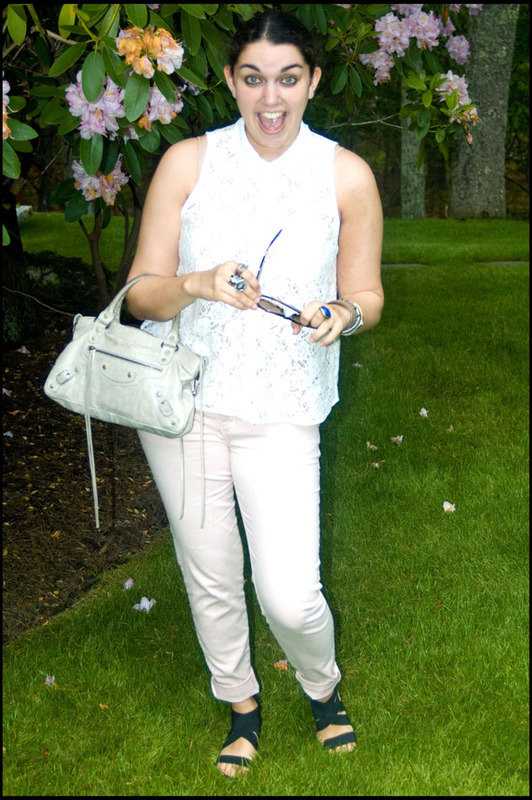 I'm wearing all pastels/ light colors! Guess where I found these pants? Where else... Zara! 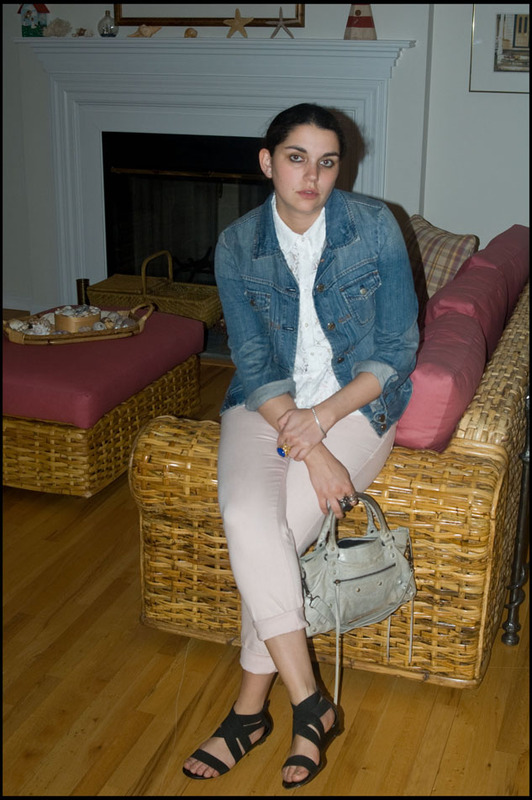 I wanted the Isabel Marant pink shorts, but again who are we kidding, I can't afford that shiz. So, I turned to one of the best stores EVER, Zara. Love em. 1. 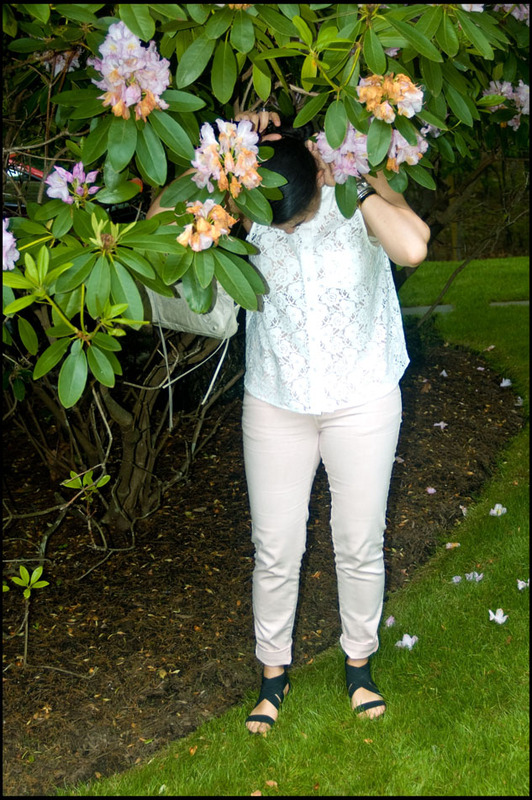 My dad had this brilliant idea of taking pictures inside our rhododendron.... uhhhhh probably not the best idea. My do got caught in the branches... if you couldn't already tell, my hair is freaking awesome! 2. 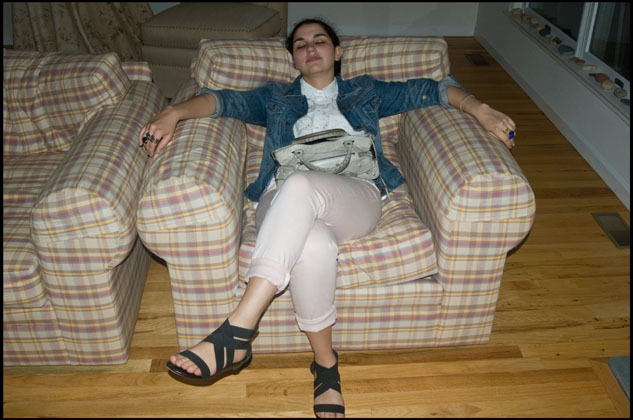 These chairs are the most comfortable chairs EVER. I am in bliss in this last picture. I could live on that thing, legit. Tomorrow I have more of these photographs to show, my dad and I actually took some decent/ artistic ones. Sorry in advance that you'll see the same outfit two days in a row... somehow though I think everyone will survive this horror. That Equipment blouse is so pretty! And you're so right - Zara is the greatest. 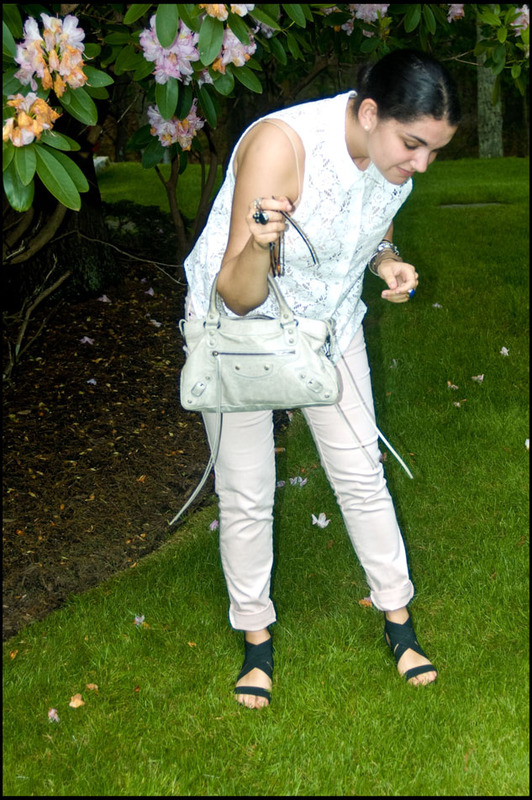 Hahaha, I love these photos of you in the rhododendron. That is so something my mom would make me do. Cute pictures, you look so lovely resting on the couch! BUT the true love here is the Balenciaga, still not over it, oh and lace top is cute too! 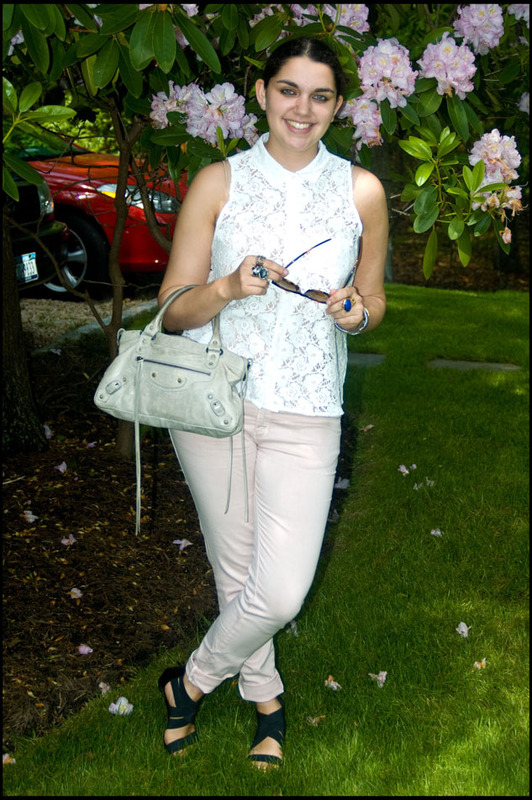 Loving that lace top and the pale pink pants!